Someone asked me a question yesterday about exporting data from the Power BI Service into Excel. There are a few options to do this however they all have their problems (these problems are not covered in great detail in this post). Power BI has an inbuilt export data feature (there is an export limit of 30k rows for a free account and 150k rows for a Pro account. Plus the connection cannot be refreshed). Analyze in Excel (can only view the data in Excel via a pivot table, not a table of records). Download the Power BI Desktop file to your PC and use DAX Studio (you have to download the entire model just to get the records you want, besides it may not even work at all). I started to think that I may be able to connect directly to Power BI Service using DAX Studio and then use the techniques I cover here to extract the records. I tried this but couldn’t get it to work (please let me know if you find a way to do this). I started searching and found this old article I wrote in 2015 that uses a technique I learnt from Marco Russo. l have used a similar approach to create a direct query of a Power BI Data Model and extract the records directly into a Table in Excel. Edit: 11 Jan 2017 – see the bottom of this post to see how Chris Webb recommends to do this task – it is much easier :-). But read on for some interesting learning. The first thing I did was to select my dataset from the Power BI Service, clicked the Ellipsis (1 below) and then Analyze in Excel (2 below). Note: there have been many updates to the Analyze in Excel connectors since its launch last year. If you haven’t updated the Analyze in Excel connectors for a while you would be well advised to do that first before attempting the rest of the procedure that follows. 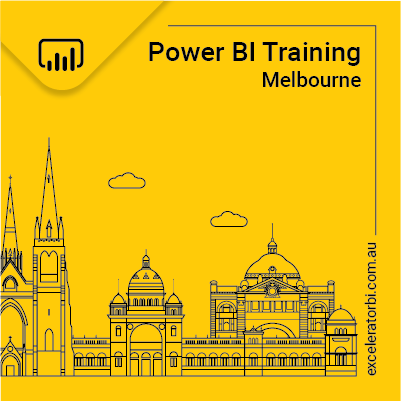 This can be done by logging into Power BI, clicking Downloads (shown as 1 below) and then downloading and installing the connector software (2 below). It is a bit hard to read the file as is, so I cut and paste the contents into an HTML editor to improve the readability, (as shown below) then pasted the formatted text back into Notepad. As you can see above, the default command is “Cube” and the default text is “Model”. The trick is to change the command to be “Query” and replace the text to be any valid DAX Query. The Command Text I used above is one of the most simple DAX Queries you can write. All queries must start with the EVALUATE statement followed by any valid DAX code that returns a table of data. The simplest way to do that is just specify an existing table (Sales in this case). If you are doing this, you can use any table name in your data model. I then saved and closed the ODC file. I clicked enable, and there appeared the entire Sales table from my Power BI data model directly in a table in Excel. Now that the connection has been established, the file can be saved and refreshed as needed in the future. To refresh, simply open the file, right click on the table and click “refresh”. So far this is pretty boring albeit maybe useful for some people. Much more interesting is to be able to extract a subset of the data to Excel. To do this you need to learn a bit of the DAX Query Language. I am not going to go into the DAX Query Language in detail in this post, but below I show how to edit the current query and change it to a new query – in this case a query that will return the Total Sales by Invoice Number. To edit the existing query, I simply right clicked anywhere in the table (1 below), then selected Table (2 below), then Edit Query (3 below). This brings up a dialog that can be edited as needed. After clicking OK, this query then returned a table of all invoice numbers and the total value of sales for those orders. Interestingly the number formatting for Total Sales did not flow through to Excel as I expected it to. Edit 11 Jan 2017. Chris Webb tweeted an alternate approach that is faster to execute. Simply create any pivot table using Analyze in Excel, drill through to the underlying table and then edit the query as before. I may come back and blog about DAX as a Query language at another time. Until then if you would like to learn what is possible, I recommend this video from Alberto Ferrari (although it is a bit advanced unless you have some solid understanding of tables and databases). Hi there Matt, great blog post. I did a test using Excel 2016 (64bit) and connected it to Power BI and tried to download a dataset that has got 1.6 million rows. And what happened is that it said that the sheet limit was 1 million rows. So even thought I had more data, it would not load it to the Excel Pivot Table sheet. In terms of how I got to 1 million rows, what I did was I put in my measures, and then added the related data from the Power BI Model, and once I put in the Customers data, this got it over the 1 million mark. What I also did to get it to display as an exported set of data, is I went into the Design Ribbon once I clicked on the Pivot Table, and then selected the following options. And then finally what I did was I clicked on Analyze in the Ribbon and then where it says “OLAP Tools” and then clicked on “Convert to Formulas” which then makes it look like text. One thing to note is due to getting the data from the Power BI Service, it can take time for the data to be populated. May I suggest you to add a hyperlink in your sample files whether it be Excel or Power BI Desktop, then readers can get access to the related blogs immediately. My demonstration uses my files hosted on my PowerBI.com account and will not work for anyone else. If you want to test this out, you will need to execute the process with your own account. Thank you! I have created a very complicated report (over 30 queries) in PBI and I have struggled to get the data into Excel in any usable way. Is it possible to import the data without the Table name being added to every column? In Power BI the column names are “Sales Order Number” and “Total Sales” but in Excel they are “Sales[Sales Order Number]” and “Sales[Total Sales]”. I have been able to rename the columns the Excel Pivot Tables I have to build off the data, so it’s not that much of a pain to deal with, but it would be nice to avoid in the first place.